The writer teaches economics at SOAS, and is a senior research fellow at Bloomsbury Pakistan. 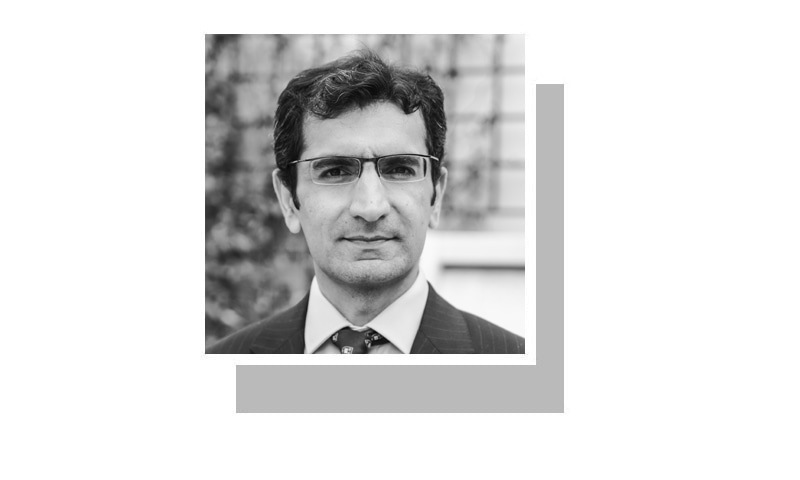 THE policy of keeping the rupee-dollar exchange rate fixed over extended periods of time, despite manifest signs of currency overvaluation, has not served Pakistan well. The parity was held around 60 during the Musharraf era, and around 100 in the recent Dar era. In both cases, unsustainable external deficits emerged, culminating in balance-of-payments crises requiring large shock devaluations and foreign bailouts to fix. These intermittent currency crises are a major impediment to Pakistan’s long-term prosperity. They incentivise businesses to focus on short-term returns rather than long-term investments to boost the country’s economic potential. They deter foreign direct investors demanding macroeconomic stability and policy continuity as prerequisites. And, they weaken Pakistan’s geopolitical standing and sovereignty (bailouts are never a free lunch). Yet, despite these nontrivial costs, we hardly see any ‘real-time’ opposition to this fixed rupee-dollar policy while it is in full implementation. One cannot recall any commentators (other than IFIs) clamouring for timely adjustment of the rupee during the Musharraf and Dar eras. And if this government decided to stabilise the exchange rate at 150 for the next three years, one expects few to object. Why? Because, unfortunately, the political economy is supportive of such a policy. Pakistan’s opinion-makers are major beneficiaries of an artificially low rupee-dollar rate. Pakistan’s opinion-makers are major beneficiaries of an artificially low rupee-dollar rate: it subsidises their spending on luxury imports (such as SUVs), children’s education abroad, and vacation travel. The masses don’t protest, as the more affordable import prices and lower inflation associated with an overvalued currency imply a quality of life improvement of sorts, albeit short-lived. Financing of the resulting higher imports/external deficits is also easier under a fixed parity as global banks generally lend in dollars. One can ask why exporters do not protest the overvaluation policy. They probably do, but after years of import bias, the export lobby has weakened, and is overtaken in foreign exchange terms by overseas Pakistanis, whose remittances are largely insensitive to exchange rate movements. The only way to break this unholy bias in favour of a low/fixed rupee-dollar parity is by raising awareness about its economic flaws and costs; and articulating an alternative currency regime to serve a volatile emerging market well. To this end, let’s examine why a fixed rupee-dollar parity makes little economic sense for Pakistan. The correct measure of a country’s external competitiveness is its real, not nominal, exchange rate; the more appreciated the real exchange rate, the lower the country’s competitiveness, ceteris paribus. 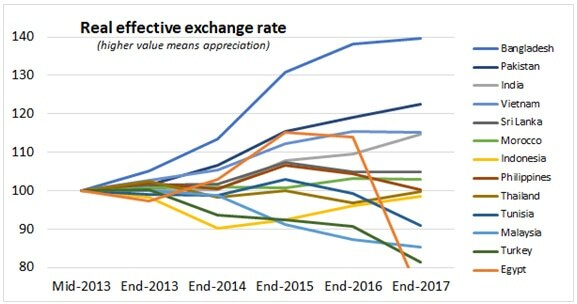 A percentage change in Pakistan’s real exchange rate equals the sum of: (i) the percentage change in the nominal exchange rate (where a more depreciated nominal exchange rate raises competitiveness); and (ii) the inflation rate differential between Pakistan and its trading partners (where a positive differential reduces competitiveness). 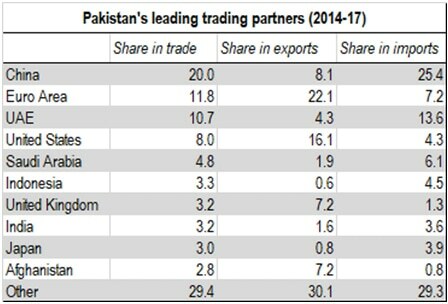 Assuming the US was Pakistan’s only trading partner, a stable rupee-dollar parity would guard against a loss in Pakistan’s competitiveness only if the inflation rates for Pakistan and the US are aligned. This is far from true: between mid-2013 (when the last IMF programme began) and end-2017, cumulative inflation amounted to 21 per cent in Pakistan vs 6pc in the US, implying a rupee overvaluation of 15pc vs the dollar alone. If a stable rupee-dollar framework is not appropriate for Pakistan, what is? We can get a clue from Pakistan’s competitors. Most allowed their exchange rates vis-à-vis the US dollar to adjust early in the 2013-17 period (median depreciation was 13pc). This timely adjustment helped them avoid the cliff drop of 33pc the rupee suffered in 2018. There’s no reason why a similar, more flexible exchange rate regime, anchored in a basket of trading partner currencies (rather than a single currency), should not work well. However, a more flexible regime will bring its own imperatives. With a more volatile currency, the private sector will need access to better instruments to hedge foreign exchange risk. The government would be well advised to develop futures and forward options that financial institutions and traders can access at reasonable cost. Finally, a credibly independent State Bank, and clear communication are needed to regain the severely dented market confidence. If markets do not believe in the announced exchange rate policy, it is not worth the paper it is written on. Markets can bet (and win) against a currency even when the latter is in line with fundamentals. And the experience of the UK’s Black Wednesday (Sept 16, 1992) has shown that no sovereign, however powerful, can survive the market’s onslaught. The writer is comparing Pak Rupee with developed economies, in reality, fix exchange rate controls economic affairs to great extent which otherwise can be easily exploited by the few. A govt dependent on foreign aids and loans cannot compete the open market onslaught. Not sure if I missed it but no explanation that to keep the peg if you are not earning enough dollars you have to then substitute for that by buying rupees on the open market using your dollar reserves. PKR dollar parity is being made a prestige issue by vested interests. The underlying factor in the above article is inflation – a key indicator which points to the future direction of the exchange rate. Inflation in Pakistan is mainly due to excessive fiscal deficit which is spiraling and out of control. In the latest financial statement before the new mini-budget on 23rd. Jan the Finance Ministry has reported “For next fiscal year, interest payments are projected at Rs 2.8 trillion- $20 bn-, 38% higher than this fiscal year. Debt servicing will consume 47% of the FBR’s tax collection.” Until and unless this fiscal imbalance is brought under control, as the IMF has pointed out, the structure of the economy will remain distorted in the direction of a volatile exchange rate as the author has well explained with charts. A good much needed educational article. The issue of exchange rate fluctuation appears to be so critically important that there should be a national economic policy on it to make it function as an optimal driver in economic growth. He hasn’t mentioned the price inelaticities of our imports and the effect of soft economic sanctions. We produce and export only a few items and import almost everything. Devaluation increases the our import bill and have very small effect on our exports when the rupee is devalued regularly people lose confidence in their currency and start buying more dollars creating more demand for the dollar. Devaluation also increases the debt burden something which the writer conveniently forgot . Increases the cost of development as all capital goods we import. 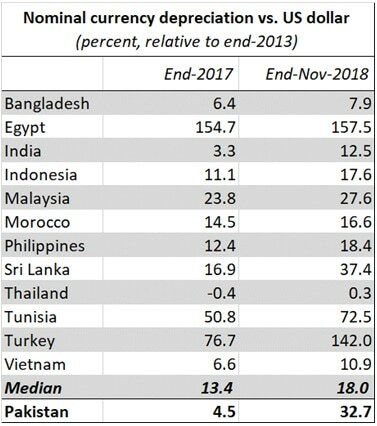 @M. Irfan Abbasi, Egypt, Bangladesh, Vietnam, Tunisia are not developed Economies. Anyway somene has to take hard decisions for the future of a stable economy to get out of quagmire in the long run. Why a fixed rupee-dollar exchange rate makes little economic sense for Pakistan. . . . . . This is quite correct. . . . I think the real reason the rupee is tied to the dollar is for our government to keep the score. Good basic lecture on exchange rate parity. Unfortunately Mr Dar as well as Mr Saukat Aziz understood this very well. Yet they decided to go against the required policy for their personal and political gains. In the process they ruined the export market, borrowed heavily in forex and transferred local jobs abroad. Almost unforgivable behaviour. @M. Irfan Abbasi, In a sense what you're saying is true but for a fixed exchange rate to deliver what you say stringent import controls and controls on consumption would have to be made along with a early era Chinese or Russian manufacturing model of goods indigenously to meet survival needs. And this would have to be for a considerable period of time till the economy has developed a domestic base before opening up to he world for free trade and commerce. Can Pakistanis live with it, is the question. If they can it's brilliant and future generation or two would be extremely thankful for their constraints and sacrifice. I don’t know what to make of this article. One does not need to be an economist to see why the arguments made here are false and wrong. A good way for Pakistan to mitigate the currency devaluation risks is to increase trade with countries with similar economies. Good thing is there are several economies in the very neighborhood of Pakistan that meet the criteria. The more Pakistan trades with these nations the more stable growth it can anticipate. "Pakistan’s opinion-makers are major beneficiaries of an artificially low rupee-dollar rate: it subsidises their spending on luxury imports (such as SUVs), children’s education abroad, and vacation travel" Also, Lower FX rate helps the big thieves get more dollars for their looted money. @khanm, Hit and Miss method. Politicians go after political benefits and not economic benefits because that's the job of economists.